PostgreSQL just released security updates. 9.1 (as found in Debian testing and unstable and Ubuntu 11.10 and later) is affected by a critical remote vulnerability which potentially allows anyone who can access the TCP port (without credentials) to corrupt local files. If your PostgreSQL database exposes the TCP port to any potentially untrusted location, please shut down your servers and update now! PostgreSQL 8.4 for Debian stable (squeeze) and Ubuntu 8.04 LTS and 10.04 LTS also got an update, but these are much less urgent. Debian and Ubuntu advisories for all stable releases, as well as Debian testing are going out as we speak. The updates are already on security.debian.org and security.ubuntu.com. I also uploaded updates for Debian unstable (8.4, 9.1, and 9.2 in experimental) and the Ubuntu backports PPA, but it will take a bit for these to build as we don’t have embargoed staging builds for those. 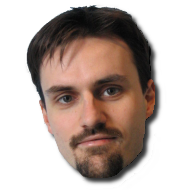 Christoph updated the apt.postgresql.org repository as well. Warning: If you use the current Ubuntu raring Beta-2 candidate images, you will still have the old version. So if you do anything serious with those installations, please make sure to upgrade immediately. Update: Debian and Ubuntu security announcements have been sent out, and all packages in the backports PPA are built. Please see the official FAQ if you want to know some more details about the nature of the vulnerabilities.